Take the Internet of Things (IoT), for example, which now receives not only daily tech news coverage with each new device launch, but also hefty investments from global organizations ushering in worldwide adoption. By 2023, consumers, companies, and governments will install more than 40 billion IoT devices globally. And it’s not just the ones you hear about all the time, like smart speakers and connected cars. 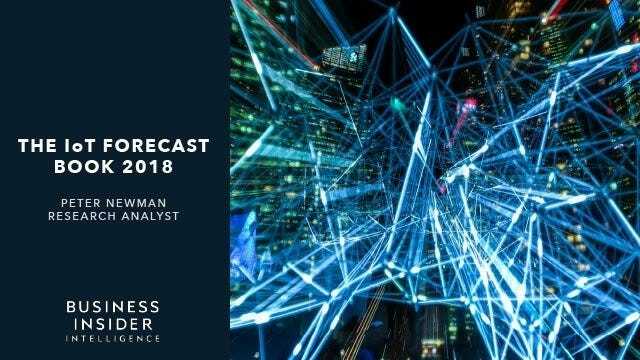 Business Insider Intelligence, Business Insider’s premium research service, has forecasted the start of the IoT’s global proliferation in The IoT Forecast Book 2018 — and the next five years will be transformational for consumers, enterprises, and governments.